O EM GEE u gaiz!!! my favoritest movie of da year has been doing sooo well! 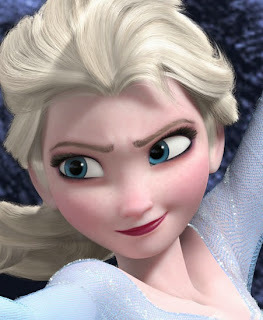 Frozen beat out Beyonce with their album staying at #1! Beyonce is gr8, but c’mon, who can resist playing Let It Go on repeat for 4 hours!? NOT ME!!! Elsa and Anna have also become best-selling toys! Not surprising! I mean, right now, they are the COOLEST Disney princesses. heh, coolest! geddit?! teeheeehee…Though personally, I’d want an Olaf plushie! I wud give him warm hugz allll day :DSo with all the super fantastic success Frozen has, with all of this and a Golden Globe to top it all off, Broadway seems like the next step! EEEEP!I am soo excited it hurtz!! Disney CEO Bob Iger talked to Forbes about plans to release Frozen as a musical on Broadway! Though they don’t know the timeframe or anything yet… Take your time, Mr. Iger, we want it 2 b as perfect as Elsa’s eyebrows!! NEW EPISODE OF MYMUSIC! BREAKING UP?! Bieber EggGate Update: Lil Za Arrested! Finding Dory Is Changing Its Ending! Oscar Showdown: Frozen vs. U2!! !